My weekend reading brought up two very different statements about illegal immigration that I think say a great deal about the dimensions of the national debate. I found the first in the transcript of a recent NPR interview with Univision anchor Jorge Ramos, a passionate advocate of illegal immigrants. The second was the resounding vote in Oregon that rejected legislation to issue driver's licenses to people not authorized to be in the United States. When it comes to immigration, it's an incredibly important, symbolic issue for us because it's personal. One in every two Latinos in this country is above 18 years of age, they are foreigners, immigrants, just like me, and that is reflected in our newscast. When people criticize undocumented immigrants and call them "illegals," actually, you are offending me. I mean, I'm an immigrant and this country treated me with great generosity. And what I'm looking for, not only as a journalist, but also as an immigrant and as a U.S. citizen, what I would like to see is that this country treats other immigrants with the same generosity that it treated me. Ramos was articulating a value that is widely held by advocates of illegal immigrants. They don't distinguish between immigrants who follow U.S. laws to become authorized members of our society and those who violate the law in order to establish a base here. They see the fight for illegal immigrants as part of the great fight for equality and full rights on many fronts — for minorities, for women, and for gays. So what Ramos said didn't surprise me. What did surprise me was the failure of Brooke Gladstone, who is normally a probing and tenacious interviewer, to follow up with two obvious questions: "Why do you make no distinction between those who work within the system to be accepted as part of our society and those who flout the system to establish a presence here?" and "Is it ungenerous to demand compliance with our system of democratically established laws and regulations?" Gladstone skipped past this set of issues. They may reverberate throughout the immigration debate, but they don't resonate among those with Gladstone's strong liberal sensibilities. For people like me, a liberal of more moderate sensibilities and strong concerns about illegal immigration, Gladstone's omission left a gaping hole in her chummy interview with the Univision anchor. The landslide vote in Oregon, meanwhile, blew a hole in the decision of the state legislature on the driver's license issue. By a 2-1 margin — 68 percent to 32 percent — voters vetoed the work of the legislature. They ignored the heavy spending by such groups as the Service Employees International Union and the Oregon Nursery PAC, who laid out $600,000 to defend the driver's license law. Meanwhile, the campaign to overturn the law spent a relatively paltry $100,000. 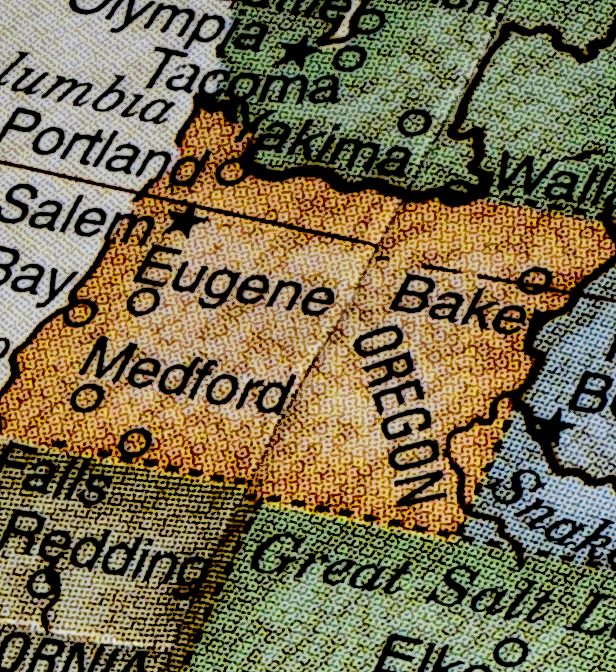 The uprising in Oregon is strong evidence of the sensibilities and values of voters. They are offended by the inability or outright refusal of government to stem the influx of illegal immigrants. In my experience, the vast majority of such people are not anti-immigrant any more that those who are outraged by the inability of government to stop the abuses of Wall Street are anti-capitalist. They want a system that functions not to serve vested financial and political interests, but the interests of our society as a whole.